What is Counselling, and how is it practiced? Counselling is a chance to rethink your feelings, and to re-feel your experiences; and to digest what needs to be digested, and then move on. Resource Pack R1: What is counselling and how is it done? In simple terms, counselling involves one person (the counsellor) helping another person (the client) to work through some difficult or painful emotional, behavioural or relationship problem or difficulty. That is the form of individual counselling. In practice there are probably almost as many definitions and descriptions of the process called ‘counselling’ as there are theorists who have written on this subject. At one stage, the number of systems of counselling and therapy was said to be more than 400. So narrowing down our definition to manageable proportions is going to be our major challenge. 1. To counsel somebody is to help in a way that emphasizes the needs and goals of the person asking for help. 2. The modern world is full of stresses and strains, and this accounts for the rise, growth and popularity of counseling. 3 Counselling can be defined in many ways, from one school of thought to another. (c) In the cognitive-behavioural approach, counselling is about helping the client to identify their negative or unhelpful thoughts and beliefs, and to change them to something more self-helping and self-supporting. 4. Because counselling has its roots in psychiatry, psychology, philosophy, the arts and religion, it is not surprising that it takes diverse forms. But those forms also reflect the strength of counselling in being highly adaptable to different cultural and historical contexts. 5. The common ground between each of the numerous schools of counselling is the focus upon assisting an individual, through a helpful relationship, with their problems of everyday living. All forms of counselling offer the client an opportunity to be heard and understood by an informed helper, who cares about their goals and their emotional pain. On this page, I will present descriptions and video elaborations from the three main schools of thought: the cognitive-behavioural, the psychodynamic and the humanistic. Dr John McLeod described counselling like this: “Counselling is a wonderful twentieth-century invention. We live in a complex, busy, changing world. In this world, there are many different types of experience that are difficult for people to cope with. Most of the time we get on with life, but sometimes we are stopped in our tracks by an event or situation that we do not, at that moment, have the resources to sort out”. If we cannot find ways to sort this out in our family, with our friends, or with a priest or doctor, etc., then “Counselling is a really useful option at these moments”. John McLeod, An Introduction to Counselling, 2003. Counsellors must be clear that early childhood experiences are powerful influences on the shape of our personality and our emotional functioning for the rest of our lives: “In my work as a clinical psychologist it has become increasingly clear to me that even though personality patterns may be based in genetic or innate conditions, they are shaped, to an equal degree, by our personal life and experiences, with childhood and early experiences as particularly crucial sources of influence”. Multimodal and integrative approaches to (attachment) counselling are likely to prove more effective than those that emphasize one or other modality – thinking, feeling, acting, hearing, seeing, touching, or speaking. “More than a hundred years ago, Freud argued that the brain develops through experience, and that it may change as a result of psychotherapy; ever since, various approaches to psychotherapy (and counselling) have competed, each laying claim to being the most effective. It would, however, be more productive to develop multimodal intervention forms based on principles that incorporate neurobiological growth, regulation, and integration”. Here is a basic video description of counselling which I prepared for my own potential clients about four years ago (in 2009). It will be elaborated further as we proceed down this page. A counsellor may also see a couple, especially a married or cohabiting couple, to help them with their relationship. And some counsellors help whole families to work on their relationship problems. See also my Couples Therapy page. Good enough counsellors provide a healing relationship for their counselling clients: How can counselling relationships help the client to grow and have better relationships in the real world? “In the world according to Bowlby, our lives, from the cradle to the grave, revolve around intimate attachments. Although our stance toward such attachments is shaped most influentially by our first relationships, we are also malleable. If our early involvements have been problematic, then subsequent relationships can offer second chances, perhaps affording us the potential to love, feel, and reflect with the freedom that flows from secure attachment. (Counselling and) psychotherapy, at its best, provides just such a healing relationship”. Review: (This) is a highly intelligent book which treats the reader as an intelligent inquirer. I have recommended the book to other professionals, such as lawyers, who deal with counsellors and counselling. I have put it on my reading lists in the post-graduate counselling degrees conducted at my University. At the same time, I have recommended it colleagues who boast years of experience. McLeod covers mainstream approaches to counselling such as psychodynamic, person-centered, CBT, systemic, feminist and narrative. He recognises that conselling approches do not come from nowhere, but reflect specific socio-cultural context. His engaging accounts of these contexts and of the individuals who articulated approaches which grew from them, provide a solid base from which to consider each theoretical development. At the same time, McLeod is interested in what elements tie counselling together. What are the root metaphors used by most counsellors most of the time? McLeod is also deeply interested in counselling as an ethical pursuit. He is concerned with the nature of social and interpersonal power and with the moral principles which should guide theory and practice. He covers research, supervision, training and skills acquisition, the politics of counselling and the nature of counselling organizations. He even ventures into predictive statments for the next fifty years. This book is an impressive achievement. The amount of information and the breadth and depth of ideas is deceptive because each chapter reads so well. I have been in the business for twenty five years. I couldn’t put it down! 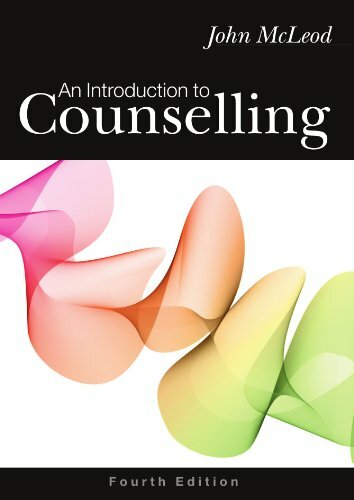 McLeod, John (2003) An Introduction to Counselling. Third Edition. Buckingham: Open University Press. Pages 1-19. Dr McLeod’s seventeen page introduction is, in my opinion, slightly too long and detailed to be optimally useful for getting a quick overview of the answer to the question: What is counselling? I have therefore boiled it down to four pages in an effort to distil the essence of Dr McLeod’s message. I began by taking notes and then thinking through the various elements of his presentation, to arrive at an optimal structure for my presentation of his insights and conclusions. Next, I wrote a four page summary of his chapter; and then boiled that summary down to the following one-paragraph summary. (I also answered some of the post text questions and sub-questions, and I have appended them at the end of this mini-paper). Counselling is a process which begins when a person (the client) approaches a professionally trained person (the counsellor) for help with a problem of everyday living. The counsellor actively listens and works collaboratively with the client to help the client to arrive at a satisfactory resolution of their problem. That covers the person centred approach. To adequately cover the two other major schools of thought in counselling, we must also add: A psychodynamic counsellor will look for the roots of the client’s problems in their early childhood experiences (as well as how the handle their current thinking, feeling and behaviour) – and help them to digest previously undigested experiences. On the other hand, a cognitive-behavioural counsellor will look for the roots of the client’s problem in their current approach to thinking and behaving in response to their environment – and encourage them to change their system of beliefs about troublesome aspects of their environment. Dr McLeod suggests that it is the needs and goals of an individual which constitute the focus of counselling help. He suggests that counselling emerged as a product of Western culture in the twentieth century, related to the needs of individuals in large, impersonal organizations. He goes on to say that, since then, counselling and psychotherapy have largely taken over the roles of the priest and the community based agony aunts of an earlier era. Counselling thus acts as a way of being known, and of gaining succour in times of personal and especially emotional crisis. The most fundamental feature of counselling, according to Dr McLeod, is that “…it can only happen if the person seeking help, the client, wants it to happen”. (Page 15). Would you like to earn a Certificate of Counselling Knowledge, representing 30 hours of Continuing Professional Development, for studying this page? If so, then please email Dr Jim Byrne for details of academic requirements and costs involved. *** Mention this page! See also: The Institute for E-CENT Counselling. Counselling can help in a number of different ways: with emotional functioning; behavioural functioning; relationship management and communication; goal setting and pursuit; refining problems; identifying solutions; promoting efficient and effective actions; and so on. 4. …feels happier; more alive; more integrated; more in control; more goal oriented; and so on. Counselling is concerned with a number of different tasks. These can be summarized as follows: “The term ‘counselling’ includes work with individuals and with relationships, which may be developmental, crisis support, psychotherapeutic, guiding or problem solving … The task of counselling is to give the client an opportunity to explore, discover and clarify ways of living more satisfyingly and resourcefully”. (BAC, 1984, cited in McLeod, 2003). The E-CENT view of counselling is that, most often, counselling is concerned with “…helping the client to come to terms with past or present reality, and often a very unpleasant reality from the client’s past”. (Byrne 2011a and 2011b)*. Most counsellors were trained in one school of counselling psychology. We then spend years adding various ‘loan elements’ to that system, and modifying it in the light of our ‘clinical experience’. Counsellor No.1 concentrates on early childhood influences on personality formation, and how those influences can be detected in the way the client responds to environmental stressors or problems today. Counsellor No.2 concentrates on the present moment; on how the client processes (cognitively and emotively) their current problems or stressors. Counsellor No.3 uses a long checklist of potential influences upon the client’s happiness and health: from early childhood; various transitions; developmental challenges; and current stressors and lifestyle choices (in terms of diet, exercise, sleep, relaxation, stress management strategies, etc. ); plus their philosophical stance in life; and their life script, or story. If you were this client, which counsellor would you choose to work with: No.1? No.2? Or No.3? And why? We have written a book on the subject of *Lifestyle Counselling*, which teaches any practitioner of talk therapy how to incorporate elements of the lifestyle approach of Counsellor No.3 into their current practices. It provides the necessary information about the kinds of foods that damage mental health and emotional wellbeing; plus those that improve the general functioning of the body-brain-mind of the client. It also provides guidance on physical exercise approaches, and sleep hygiene practices that support good mental health. As a rule, counsellors operate from three core principles: respect for the client; genuineness in showing who they are in their relationship with the client; and empathy for the client’s suffering. Counsellors also use attentive body language to show the client that they are ‘with them’ in their struggles, without being too confrontative. We avoid staring at the client’s eyes; we sit at an angle to the client so they can easily and naturally look away when they need to; and we ‘actively listen’ – which is a set of skills described further down this page. As practiced by Jim Byrne, counselling and therapy (and coaching) amount to helping the client to identify the source of their emotional or behavioural problems, so that they can come to terms with whatever aspect of reality they are resisting; and/or to refine their understanding of their practical problems; and/or to clarify their goals in relation to some developmental challenge; and/or to overcome their emotional, behavioural or relationship difficulties or problems. To understand how he operates as a counsellor is to perceive him as a “(relatively) wise philosopher who teaches what he has used to heal his own life”; and to facilitate the client’s exploration of their own issues and needs, and to arrive at conclusions or solutions that resolve their problems and move their lives forward. # Or take a look at this description of Sigmund Freud’s model of the human personality, from a paper by Dr Jim Byrne. # Or take a look at Jim Byrne’s Rusland Diploma assignments on Sigmund Freud’s and C.G. Jung’s approach to counselling and psychotherapy, from 2001. # Or find out what counselling clients gain, in general terms, from counselling by Dr Jim Byrne. # Or find out what they say in their testimonials to Dr Jim Byrne, about what they gained from working with him. There are, of course, different approaches to counselling, with some being quite passive, listening forms of counselling; while others are more analytical of the sources of the presenting problem; and others quite philosophical and into teaching the client the philosophical wisdom of the ages. Professor Mick Cooper from the University of Strathclyde talks about his existential approach to counselling, which involves a concrete exploration of day to day challenges, and how to tackle them and cope with the inevitable hassles and difficulties. He advocates ‘focusing on the concrete’. There is now a well researched and documented argument that all systems of counselling and psychotherapy are broadly equivalent in terms of the outcomes they achieve. Ever since Smith and Glass (1977) produced their meta-analysis on the subject, there has been a strong and growing body of research evidence that all systems of counselling and therapy produce broadly equivalent outcomes, and that the outcomes are produced by ‘common factors’, such as the nature of the relationship, and the promotion of re-thinking and re-deciding. (Wampold and Messer). Smith, M.L. and Glass, G.V. (1977) Meta-analysis of psychotherapy outcome studies, American Psychologist, 32: 752-760. Wampold, B.E., Ahn, H., and Coleman, H.K.L. (2001) Medical model as metaphor: Old habits die hard. Journal of Counselling Psychology, 48, 268-273. Messer, S. and Wampold, B. (2002) Let’s face facts: Common factors are more potent than specific therapy ingredients. Clinical Psychology: Science and Practice. 9: 21-25. Carl Rogers was the father of non-directive counseling, in the USA, where he could not practice more active forms of psychoanalysis or psychotherapy, because he did not have a psychology degree. He therefore created a system which depended upon active listening to help the client to clarify their own issues, and extending three core conditions towards the client: genuineness; empathy and non-possessive caring. Professor Robert Elliott of the University of Strathclyde talks to the Counselling Channel’s Niall O’Loingsigh about the Person Centred approach of Process Experiential Emotion Focused Therapy. This is a two part video; scroll down for part 2. # Take a look at Jim Byrne’s Rusland Diploma assignment on Carl Rogers’ person-centred counselling and Fritz Perls’ Gestalt Therapy, from 2002. Case study example for use in teaching, aiming to demonstrate some of the triggers, thoughts, feelings and responses linked with problematic low mood. This section here represents the first 14 minutes of an initial therapy session, but in order to try and outline the vicious cycle, it moves faster than an average session might. The video features an actor playing the character of Lucy, but the dialogue is not scripted, and as such represents a natural therapeutic exchange. I myself am a qualified Clinical Psychologist, but would definitely not suggest that this is a perfect example of therapy! This video was produced as a collaboration between the University of Leeds and Leeds Trinity University (Ricardo Barker). This book offers both a wide range of critical perspectives from around the world, and substantial responses to them. 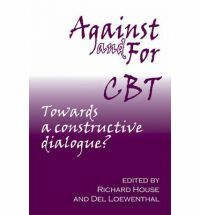 It represents the first attempt to engage in print with the controversies and complexities that have exercised – sometimes painfully – the therapy and counseling world, as cognitive-behavioral therapy (CBT) has risen to such cultural prominence as Western governments take a serious interest in the psychological therapies as instruments of public policy-making.”Against and For CBT” will be essential reading for psychotherapists, psychoanalysts and counselors of each and every approach who are concerned with understanding the phenomenon that is ‘CBT and its discontents’. It will be core reading both on IAPT/CBT and contrasting modality training courses that wish to encourage critical engagement with the meaning and cultural context of therapeutic help in the modern world.Professor Andrew Samuels writes: ‘This welcome new collection – provides us with many cogent and convincing arguments for, at the very least, questioning the epistemological underpinnings and the methodological validity of the ‘evidence-based’ ideology in which CBT and its supporters have become accustomed to basking – This splendid new book – promises to open up a crucial and long-overdue dialogue, and introduce the associated ‘battle for the soul’ of therapy work itself’. Professor Stephen Palmer writes: ‘CBT is constantly developing , aquiring and integrating new ideas, many underpinned by research, and adapting to the requirements of the day. Unlike some approaches, it is not moribund, nor held back by dogma. Its commonsense, pragmatic approach will continue to have wide appeal, regardless of how it is viewed within the counseling and psychotherapy professions. Long before the REBT approach was created, in the period 1954-’62, by Dr Albert Ellis, a highly creative form of counselling and therapy was created by Dr Eric Berne. This was Transactional Analysis (TA), which took Freud’s concept of the ‘ego’ and broke it down into some existential states, which he called the ‘Parent’, the ‘Adult, and the ‘Child’, ego states. Berne understood human functioning in terms of social transactions, and the measure of neurosis was the nature and intensity of the psychological ‘games’ that an individual played. # See Jim Byrne’s Rusland Diploma assignment on Transactional Analysis (and Reality Therapy) from 2002. # Or take a look at the Transactional Analysis page. “There are a number of different ways to be impactful using Impact Therapy. Impact therapists help clients clarify their issues, help them increase awareness and understanding, and help them discover important things about themselves. Impact therapists also give support, provide encouragement, and give permission. Also, impact therapists help client make decisions or help them stick with a decision once the decision has been made, and they help clients dispute their irrational and self-defeating beliefs. The impact therapist is always thinking about what the best way is to make the session helpful and impactful”. Page 54, Impact Therapy, by Ed Jacobs, Florida: Psychological Assessment Resources, Inc. I I(Jim Byrne) have been trained in REBT/CBT, plus TA, behavioural, psychodynamic and humanistic processes (thirteen systems in all) – and my counselling and therapy work was supervised by Dr Ed Jacobs (for three years, up to February 2011). # Take a look at Jim Byrne’s Rusland Diploma assignment on Existential Therapy and LogoTherapy, from 2002. ‘Pilgrim (1997) describes psychotherapy as a “type of personal relationship entailing a series of negotiated meetings containing conversations” (p. 97). The central feature of psychotherapy is defined by Holmes and Lindley (1989) as “….. the use of a relationship between therapist and (client) – as opposed to pharmacological or social methods – to produce changes in (thinking), feeling and behaviour”. These more universal definitions tend to focus upon the relationship. A definition reflecting the unique social role of psychotherapy is offered by Smail (1987). 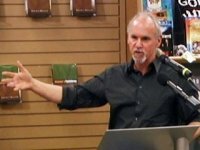 He describes it as a situation where people are offered the rare opportunity to pursue the truth about themselves and their lives. This is without the threat of blame and disapproval and without the risk of offending or hurting the person to whom they are revealing themselves. Although these definitions emphasise different aspects, all indicate how central the relationship is to any understanding of the practice of psychotherapy’. Neil Scott Gordon (2000, March). As part of the Understanding Approaches series, the Counselling Channel’s Niall O’Loingsigh interviews author and psychotherapist Brendan McLoughlin to discover more about the psychodynamic approach to counselling and psychotherapy. Attachment theory suggests that the quality of care given to each of us by our parents in the first few years of life determines our ‘attachment style’ for all future relationships – whether secure or insecure. By analogy, we can say that a client in counselling and therapy needs a ‘nurturing parent’ relationship with their counsellor or psychotherapist, based on sensitivity and concern, care and attention. It is not sufficient to relate to the client as a ‘thinking machine’. Non-possessive love is a key component of counselling and psychotherapy. For a number of years, I misunderstood the implications of the findings of Smith and Glass (1977), who found that all the therapies they investigated were “broadly equivalent”, in that they each produced significant gains for the client. So, although the results tend to be listed hierarchically, and REBT is in the second position on their list, this variation in scores is not in itself sufficiently significant to place REBT in a league separate and apart from the therapies lower down the list. And there is now broad consent, in some research quarters, that all the major therapies that are designed to be therapeutic are broadly equivalent in their effectiveness. (See in particular the work of Professor Bruce Wampold). Therefore, it might be more productive to look at how and what we could each learn from the other, rather than competing in a zero sum game. “Results of nearly 400 controlled evaluations of psychotherapy and counseling were coded and integrated statistically. The findings provide convincing evidence of the efficacy of psychotherapy. On the average, the typical therapy client is better off than 75% of untreated individuals. Few important differences in effectiveness could be established among many quite different types of psychotherapy. More generally, virtually no difference in effectiveness was observed between the class of all behavioral therapies (systematic desensitization, behavior modification) and the non-behavioral therapies (Rogerian, psychodynamic, rational-emotive, transactional analysis, etc)”. Page 752. “The results of research demonstrate the beneficial effects of counseling and psychotherapy. Despite volumes devoted to the theoretical differences among different schools of psychotherapy, the results of research demonstrate negligible differences in the effects produced by different therapy types. Unconditional judgements of superiority of one type or another of psychotherapy, and all that these claims imply about treatment and training policy, are unjustified”. Page 760. # Or take a look at the ‘What is REBT?’ page? In the UK there are at least 99 organizations representing counsellors, and each of them varies somewhat in their emphasis on what counsellors do. Forty-six of those counselling organizations were (some time ago – directly or indirectly) in negotiations with the British government about professionalization of the field. The process has moved on, and a few of those organizations have been given ‘gate keeper’ roles which have the effect of lulling potential clients into a false sense of security about the safety of counselling. At ABC Coaching and Counselling Services, we advise potential counselling clients to be aware that they are personally responsible for protecting themselves from potential exploitation and abuse by bad counsellors. “Counselling takes place when a counsellor sees a client in a private and confidential setting to explore a difficulty the client is having, distress they may be experiencing or perhaps their dissatisfaction with life, or loss of a sense of direction and purpose. It is always at the request of the client as no one can properly be ‘sent’ for counselling”. “By listening attentively and patiently the counsellor can begin to perceive the difficulties from the client’s point of view and can help them to see things more clearly, possibly from a different perspective. Counselling is a way of enabling choice or change or of reducing confusion. It does not involve giving advice or directing a client to take a particular course of action. Counsellors do not judge or exploit their clients in any way”. (Source: BACP website – http://www.bacp.co.uk/education/whatiscounselling .html). 1. Where are you up to right now? 2. Where are you trying to get to? 3. What actions could you take to bridge that gap between where you are and where you want to be? And, again in the Egan model, the counsellor helps the client to see beyond their ‘blindspots’, and to identify their resources. 2. What are you doing (or have you been doing) to get what you want? 3. Let’s evaluate how well that is going. 4. Let’s produce a new plan, (if the current one is not working well). In addition, we have the concept of “therapy”, which comes from the Greek word for “healing”. And counselling and therapy, which overlap significantly, can be said to be in the business of “healing the life” of the client. Or helping the client to “heal themselves”. No attempt to distinguish counselling from therapy has been particularly successful, and it is best to see “counselling and therapy” as a unified field of endeavour. 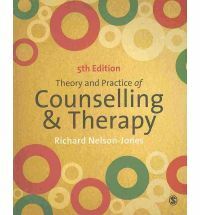 (See: Nelson-Jones, 2002, Essential Counselling and Therapy Skills, pages 4-5). And as Ed Jacobs says: “Impact therapists feel free to have a wide range of responses, including reflection, clarification, questioning, summarizing, probing and teaching”. (Page 61). Returning to the section of Chapter 7 of Dr David Wallin’s book on Attachment in Psychotherapy, entitled Relational Processes and Developmental Desiderata, I want to give further consideration to what we can learn from this section that would help counsellors and therapists to know what to do to help their clients to feel more secure in their relationships, inside and outside of therapy. (b) Later on, he emphasized that parents must be responsive as well as accessible. (This change was prompted by the research findings of Mary Ainsworth, who described the importance of the parents’ sensitive responsiveness to the child’s nonverbal signals). Secondly, when babies receive the attention they crave, they prove to be less needy than those babies who do not receive sensitive responsiveness when they cry. From this I infer that client’s who get the kind of attention they need, will move on through their therapy much quicker, and more surely, than those clients who meet with cool and less responsive therapists. Third, Attachment theory suggests that collaborative communication is about getting to know the mind of another human being. (We may not consciously know that that is what is happening, and we might not use those verbal labels, but that, it seems, is what is nonverbally, and non-consciously, happening). The client needs to know which of their statements or actions produces which responses in the therapist. The therapist must be transparent in showing the contingency (or dependence) of a particular response upon a particular stimulus from the client. This is what helps the client to construct a model of ‘what is going on’ in the mind of the other, reflected in their own mind. Fourth, it seems important to help the client to “feel felt” – that is, to see their nonverbal affective behaviours reflected in the nonverbal affective responses of the therapist. If the client cries, the therapist may reflect this by showing a sad face, ‘marked as’ a reflection. Therapeutic communication needs to be collaborative – or shared – as well as contingent (each stimulus is shown a specific response; and each response produces a new reflection). In this process of collaboration and revealing the connections between stimulus and response, the therapist must aim for a high level of affective attunement: or ‘getting the client’s emotional state’ and reflecting it back in a different register. When a client gets repeated experiences of this kind of emotionally attuned responsiveness, this may generate positive expectations of ‘feeling felt’ – feeling understood and accepted by others – which may sediment into a secure model of a sensitive relationship; a working model of secure attachment. Or, as David Wallin puts it, “such experiences are lessons in how to have a comfortable and effective relationship – with oneself and one’s emotions as well as with others”. (Page 107). Of course, we must not create unrealistic expectations here. Counsellors and therapists, like mothers and fathers, are imperfect and error-prone humans. We cannot always ‘get it right’ for our clients. But we should aim high. We should aim to get close to understanding where our client is coming from 5 times out of every 6; and we should learn how to track down and resolve any misunderstandings that arise between us. Clients can learn from us that misunderstandings can be resolved, and “distress can be weathered because it can be relieved”, as David Wallin puts it. Most students of counselling, who have been studying for more than a few weeks, will be familiar with the idea that counselling is based upon three ‘core conditions’: genuineness, empathy and non-possessive caring. (This originally came from the person centred tradition, but is now common across the three main schools of thought in counselling and therapy). Non-possessive caring is a little more difficult, because it in effect calls upon each counsellor to find it within themselves to feel a kind of love for the client: a kind of brotherly/sisterly love, called by the ancient Greeks, agape. But empathy is the most difficult of the three concepts. Some counselling students feel very guilty if they are unable to feel strong feelings for the idea of a suffering client, and they unfortunately try to manufacture a sense of being a ‘bleeding heart’ by nature. This destroys their genuineness, and adds nothing to their capacity to care for future clients. “The word empathy comes to us as a translation of the word used by German psychologists, einfühlung, which literally means ‘feeling into’. It is the ability to understand another person pretty much as he understands himself. The empathic person is able to ‘crawl into another’s skin’ and see the world through his eyes. He listens to others in a non-prejudicial, non-judgemental way. He hears the other person’s story as the other chooses to present it and notes the special significance the story has for the other”. (Page 270). “Being able to empathize means being able to understand accurately the other person’s position, to identify with ‘where they are at’. It means being able to find solutions to what might otherwise be a deadlock between incompatible goals. Empathy makes the other person feel valued, enabling them to feel their thoughts and feelings have been heard, acknowledged and respected. … Empathy avoids any risk of misunderstanding or miscommunication, by figuring out what the other person might have intended. It allows you to avoid causing offence by anticipating how things will be experienced by another mind”. (Page 13). Although this statement seems to mainly focus upon ‘cognitive empathy’, Prof Baron-Cohen is well aware that empathy has both a cognitive and an emotive component. To explore these ideas further, please take a look at the three ‘bonus features’ which follow. In this eleven-page paper I examine some definitions of empathy, and relate them to the concepts of: good and bad; selfishness and pro-social tendencies; emotional intelligence (including an emotional intelligence test); Counsellor training, self therapy and personal development; Interpersonal communication and reading body language; Sympathy, empathy and compassion (including an empathy quotient test); and finally: How to become more empathic. Empathy is one of the three core conditions which were promoted in the world of counselling by Dr Carl Rogers, the creator of person-centred counselling. The other two were genuineness and non-possessive caring (or what he called Unconditional Positive Regard [UPR]). (See Chapter 15 of Robert Bolton’s (1979) book: People Skills)[i]. “Two centuries ago, John Woolman walked barefoot from Baltimore to Philadelphia. He did it to receive in his own body, some measure of the pain that black slaves suffered when they were forced to walk barefoot over long distances. By putting himself in the slave’s place, he better understood what slavery meant to the slave. He had empathy”. (Page 269). According to my dictionary of psychology[ii], empathy means: “The capacity to understand and enter into another person’s feelings and emotions or to experience something from the other person’s point of view…”. [i] Bolton, R. (1979) People Skills: How to assert yourself, listen to others and resolve conflicts. Englewood Cliffs, NJ: Prentice-Hall, Inc.
[ii] Colman, A.M. (2002) A Dictionary of Psychology. Oxford: Oxford University Press. Meanwhile, you might want to take a look at the Attachment Theory and Counselling page. 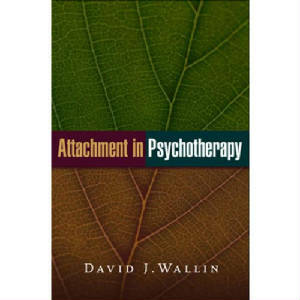 Or take a look at the page about Dr David Wallin’s book on Attachment in Psychotherapy.